Many are attracted to Bitcoin due to its independence and pseudo-anonymity. But its convenience of use, speed, and fees may not be as pleasing as one would like. 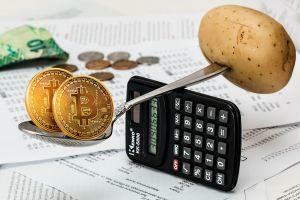 In this article, we outline the most common pros and cons of Bitcoin. The main advantage of using Bitcoin is that it is both digital money and the payment network. Bitcoin’s blockchain cannot function without BTC, and vice versa. Such a system can operate without any middlemen, government officials, monetary economists, and other intermediaries or regulators. Essentially, Bitcoin is the first successful implementation of global peer-to-peer cash that lets everyone store and exchange value with others, no matter who or where they are. 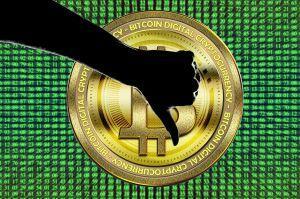 However, Bitcoin does have regulatory oversight and the convenience of traditional financial instruments. Bitcoin price is quite volatile, and that is unlikely to change in the near-term. Besides, the network is still being developed and does not match the efficiency and ease of use offered by banks and related financial services. Bitcoin is the most open financial system to date. You can make payments with Bitcoins 24/7 all over the world, even where there’s no banking system. International money transfers with Bitcoins can be faster and cheaper than with traditional banking and services. Bitcoin is the only asset ever-created that cannot be seized from you by force (if taken proper precautions). Besides, BTC transactions are uncensorable, so no one can stop you from conducting transactions. Bitcoin is pseudonymous, and anyone can open its wallet via the internet without any verification or credit history. It is especially beneficial in underbanked regions and third-world countries where most people struggle to get access to money. You can spend Bitcoins in the same ways you spend traditional digital money – from a desktop computer, a mobile phone or a debit card. Unlike fiat currencies, Bitcoins are deflationary, meaning that their value is set to appreciate by design. Bitcoin is the most portable asset ever-created and can be transferred through satellites or even radio waves. Bitcoin has valuable features for business, too, such as multi-signature authorization and accounting transparency. Multi-signature means that several people need to sign off on a payment, which provides more security. And the very nature of a blockchain – where all transactions are public – improves a business’s transparency. 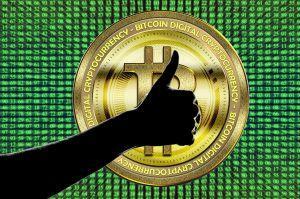 Compared with other cryptocurrencies, Bitcoin has the most brand recognition, liquidity, most developed ecosystem, and most acceptance among various retailers and organizations. The Lightning Network enables Bitcoin usage for small, low-fee everyday retail transactions like buying tea, groceries or simply tipping someone online. Bitcoin introduces a concept of programmable money, which enables further financial innovations like "smart contracts." Bitcoin disrupts the monopoly of money by offering an alternative to people who distrust their government, certain institutions, politicians, or simply believe in the power of decentralization. Little to none regulatory oversight when things go south. Despite attempts to enable offline Bitcoin payments, use of the currency still largely depends on internet availability. As Bitcoin is still in development, the transaction speed and fees tend to vary depending on mining efficiency and network congestion. Converting Bitcoins into fiat incurs fees which are often costly. Not every shop or service provider accepts Bitcoins. The number is growing, though. Bitcoin transactions are immutable, meaning that once the money leaves your wallet, there is no way to get them back. Although many reputation management tools are being developed, “buyer’s protection” is not the thing with Bitcoin yet. Conversely, it can benefit merchants since accepting BTC eliminates the opportunity of fraudulent chargebacks. Most people are not ready to take full responsibility for their assets and could not manage their private keys securely. Many private Bitcoin keys have been lost beyond recovery, thus contribution to Bitcoin’s deflation and appreciation in value. Learning all the existing ins and outs of the Bitcoin ecosystem presents a steep learning curve. The user interface in most Bitcoin apps is still not foolproof, and the network is not ready for serving everyone in the world. Securing Bitcoin requires basic cybersecurity knowledge and awareness. While the network is virtually unhackable, organizations and individual users are. The core ideology of Bitcoin goes against the most powerful institutions, governments, politics, banks, regulators, and censorship, and is likely to meet much resistance before these players can tolerate or approve it. These are the most commonly brought up advantages and disadvantages (pros and cons) of Bitcoin. As you can see, the revolutionary technology behind Bitcoin doesn't come without tradeoffs. For every advantage, there is a considerable disadvantage, too. Despite that, Bitcoin is an evolving system which doesn't stand still. Its open-source developer community is actively seeking for improved solutions. Hopefully, this article has made things clearer for you and sparked further interest in cryptocurrencies and traditional finance. Always do your due diligence when it comes to sensitive matters like money and investing. Previous - Is it safe to use Bitcoin?